The lira slumped after the central bank left interest rates unchanged. With inflation at 14-year highs, there was every reason to tighten policy. 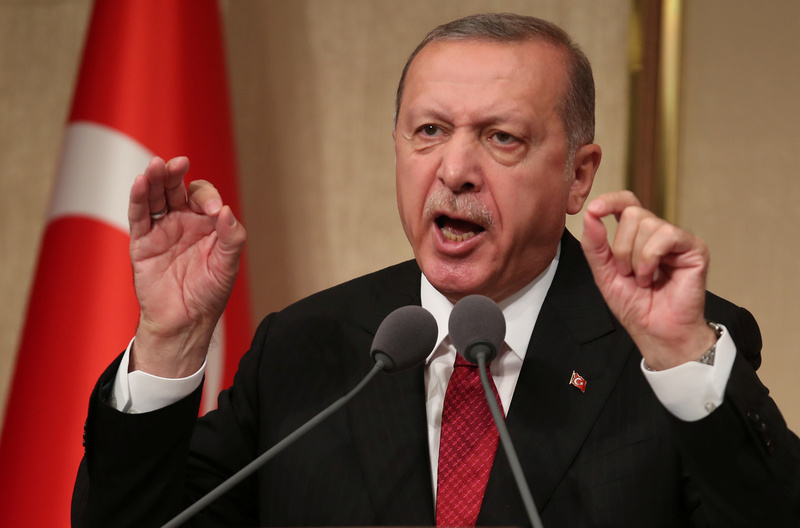 Inaction will only reinforce investors’ concern that President Tayyip Erdogan’s distaste for higher rates is exerting undue influence. Turkey's central bank left its policy rate, the one-week repo rate, unchanged at 17.75 percent on July 24. Fifteen of 16 economists polled by Reuters poll had expected a rate rise, with an increase of 100 to 125 basis points viewed as the most likely option. The Turkish lira weakened as far as 4.9370 against the U.S. dollar after the decision was announced, according to Eikon. That was down 4 percent from the July 23 close.